Every morning, A wakes in a different persons body, a different persons life. Theres never any warning about where it will be or who it will be. A has made peace with that, even established guidelines by which to live: Never get too attached. Avoid being noticed. Do not interfere. Its all fine until the morning that A wakes up in the body of Justin and meets Justins girlfriend, Rhiannon. From that moment, the rules by which A has been living no longer apply. Because finally A has found someone to be with - day in, day out, day after day. 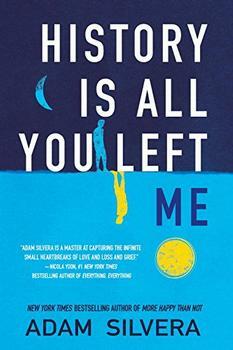 With his new novel, David Levithan has pushed himself to new creative heights. He has written a captivating story that will fascinate readers as they begin to comprehend the complexities of life and love in As world, as A and Rhiannon seek to discover if you can truly love someone who is destined to change every day. Immediately I have to figure out who I am. It's not just the body--opening my eyes and discovering whether the skin on my arm is light or dark, whether my hair is long or short, whether I'm fat or thin, boy or girl, scarred or smooth. The body is the easiest thing to adjust to, if you're used to waking up in a new one each morning. It's the life, the context of the body, that can be hard to grasp. Although the premise of Levithan's novel might seem far-fetched, the concept is a deeply provocative starting point from which to explore a wide variety of topics and themes...Every Day also gets at the heart of what it means to be human and what it means to love. Both are, at best, elusive and, at worst, impossible for A...The profound loneliness of A's life - the lack of genuine connection, and the absence of the opportunity to know someone over time and have him know you  is, at times, nearly unbearable. (Reviewed by Norah Piehl). It demonstrates Levithan's talent for empathy, which is paired in the best parts of the book with a persuasive optimism about the odds for happiness and for true love. Rich in wisdom and wit...Levithan keeps the pages turning not only with ingenious twists on his central conceit but with A's hard-earned pieces of wisdom about identity, isolation, and love. Every Day has the power to teach a bully empathy by answering an essential question: What's it like to be you and not me — even if it's just for one day? It's the rare book that challenges gender presumptions in a way that's as entertaining as it is unexpected and, perhaps most important, that's relatable to teens who may not think they need sensitivity training when it comes to sexual orientation and the nature of true love. ‘Every Day' is precisely such a book...A story that is always alluring, oftentimes humorous and much like love itself — splendorous. [T]he story unfolds smoothly (the regular shifts between bodies give the novel a natural momentum), but it’s also less ambitious. Starred Review. Levithan has created an irresistible premise that is sure to captivate readers…[Every Day] is a study in style, an exercise in imagination, and an opportunity for readers themselves to occupy another life: that of A, himself. Starred Review. An awe-inspiring, thought-provoking reminder that love reaches beyond physical appearances or gender. Ages 14+. Starred Review. [E}very step of the narrative feels real and will elicit a strong emotional response from readers and offer them plenty of fodder for speculation, especially regarding the nature of love. It was simply phenomenal! I simply delight in novels like this, even if it WAS an excerpt. I could not stop reading this, every chapter had me wanting to read the next. I very very highly recommend this. The book shows what it is to be human, and how love can go beyond physical appearances. As a young adult it made me realize true love is never impossible. 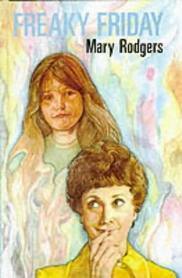 The classic book in the "body swap" genre is, of course, Freaky Friday by Mary Rodgers. Originally published in 1972, the humorous story imagines what would happen if eternally bickering teenage daughter Annabelle Andrews switched bodies with her mother. The book has been adapted for the screen several times, and also sparked several sequels, including Summer Switch, in which Annabelle's younger brother switches bodies with their high-powered executive father.